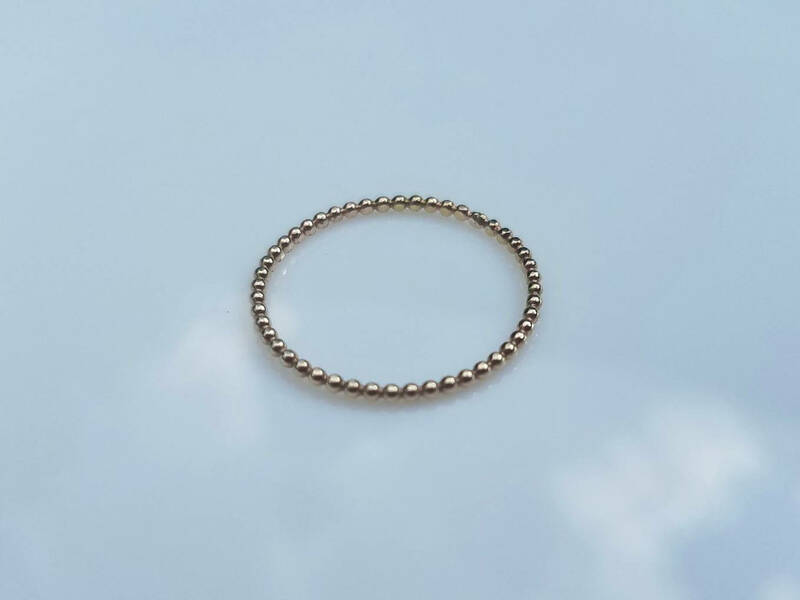 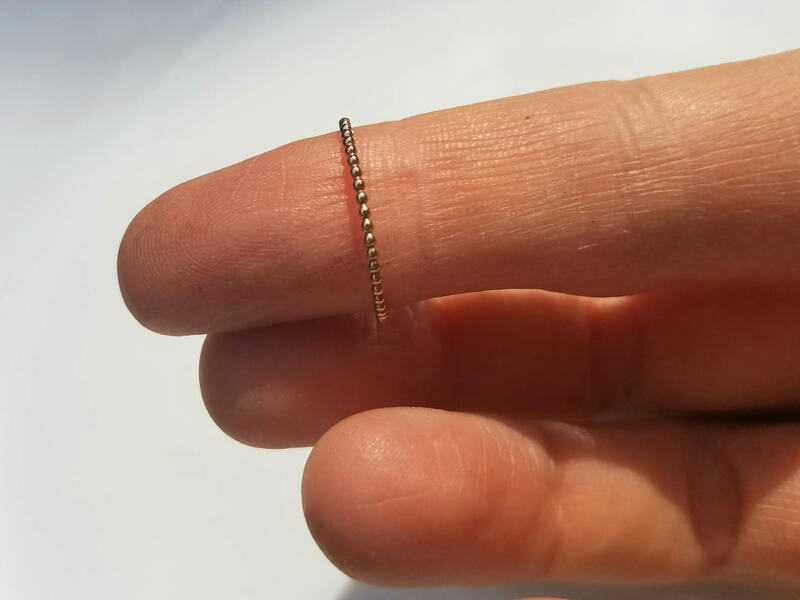 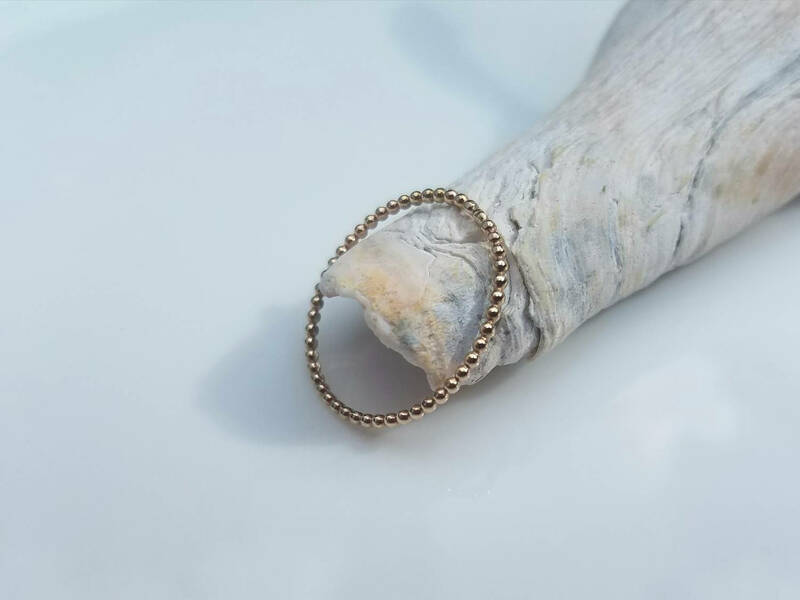 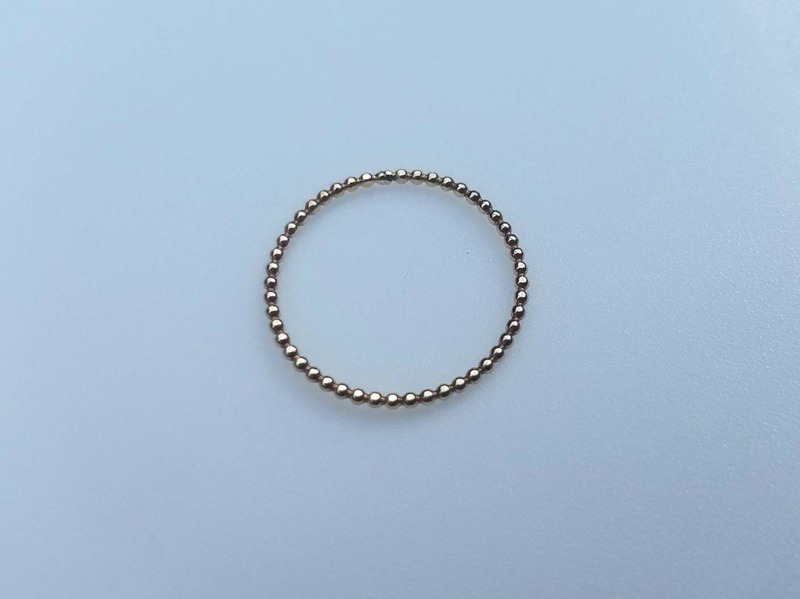 This hand forged solid 14k gold beaded band is 1.2mm wide. 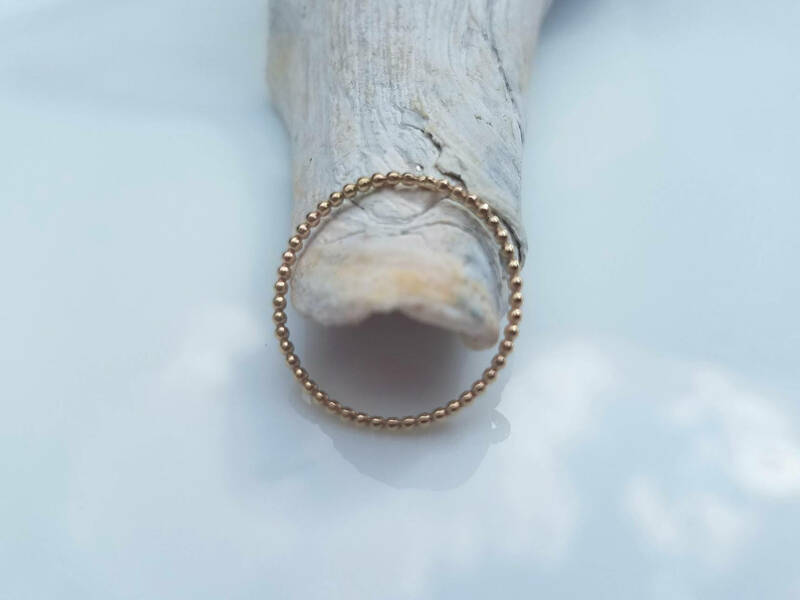 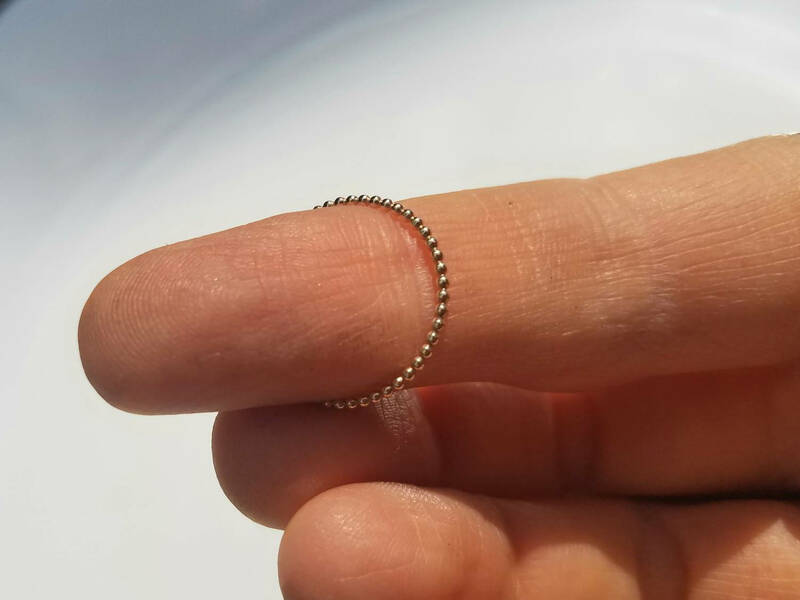 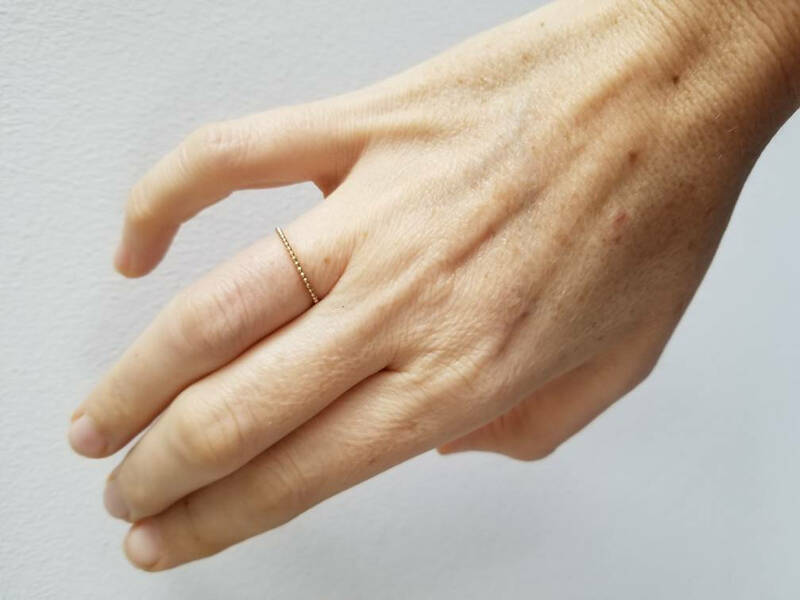 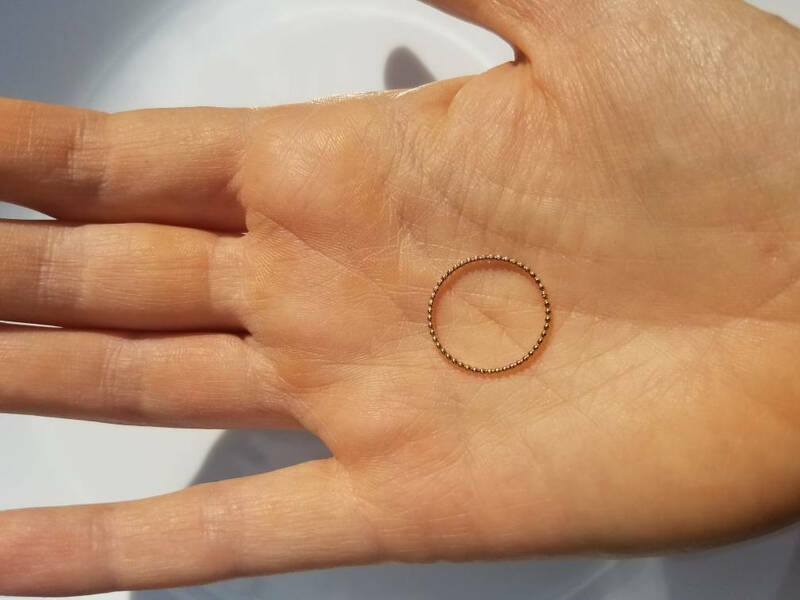 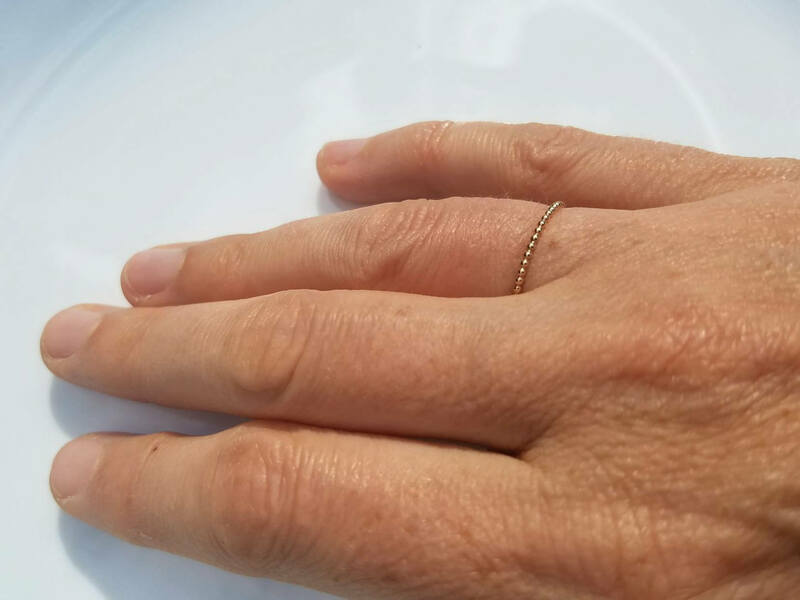 This ring looks lovely worn alone or as an addition to your favorite stack. 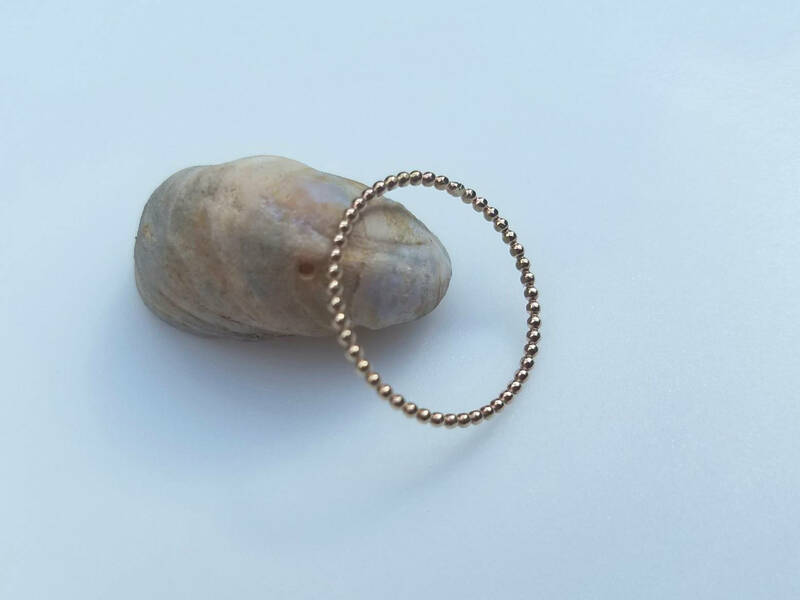 Please note, size 7 is ready to ship, all other sizes will be made to order.